I had a small part to play in the Episcopal Ordination of William Crean as Roman Catholic Bishop of Cloyne at St Colman’s Cathedral, Cobh last Sunday. 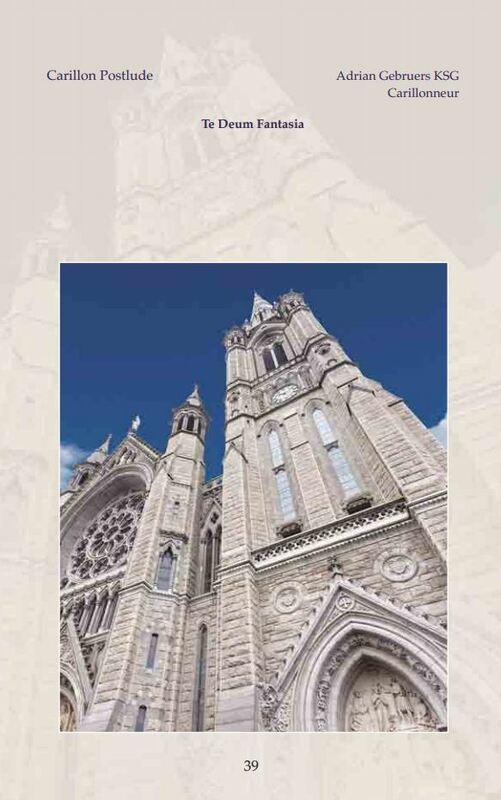 I contributed photographs to the Order of Service book which was designed by my friend Rita Scannell, Graphic Designer and Liturgical Artist (https://www.facebook.com/RitaScannellDesign, ritascannelldesign@eircom.net) and overseen by Fr Danny Murphy, Diocesan Director for Liturgical Formation. 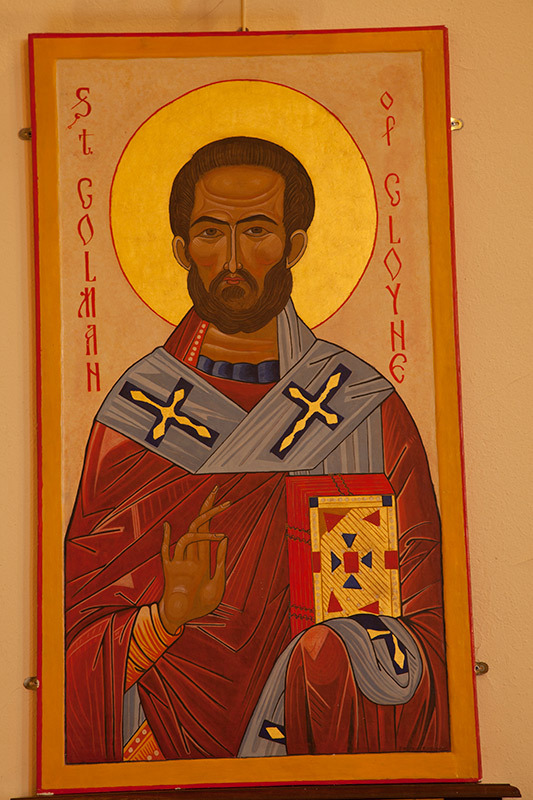 Rita had contacted me several weeks ago and asked me if I would help (I had contributed some images to her previously for other diocesan publications.) 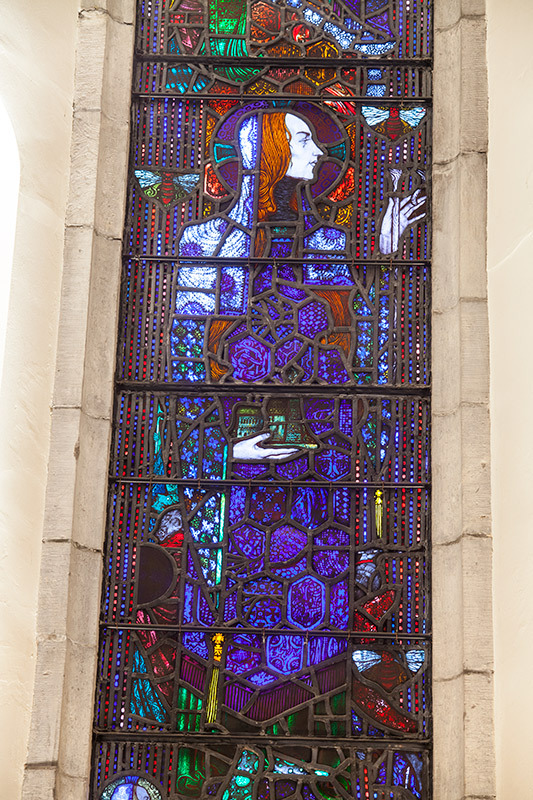 She needed photographs to illustrate the book and specifically a photograph of an icon of St Colman at Cloyne Church, one of the Harry Clarke stained glass windows at the Honan Chapel in University College Cork and a photograph of the Cathedral itself. 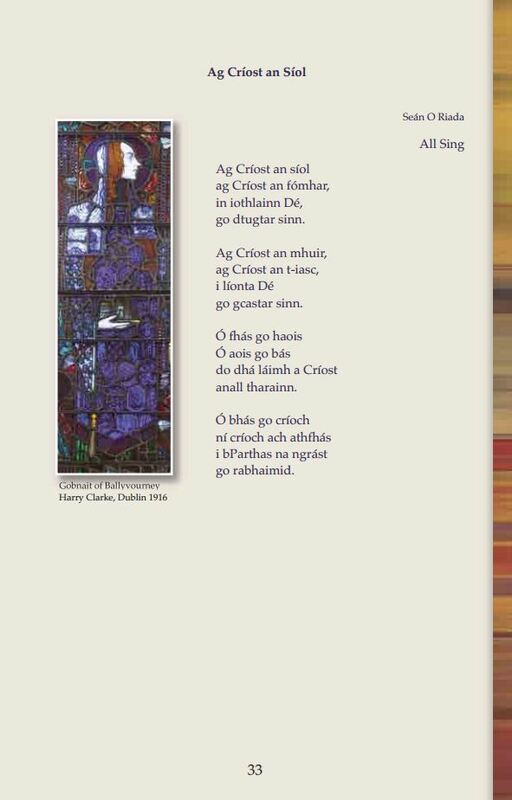 Next up was Harry Clarke’s St Gobnait of Ballyvourney at UCC. The converging verticals were even more pronounced here as the window is high up in the wall of the church. Again, the finished image gives the impression that it was photographed straight-on thanks to CS6. 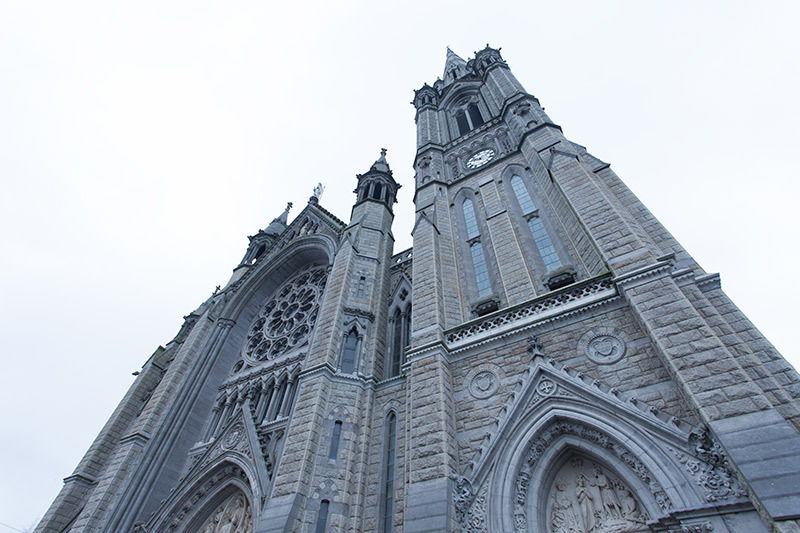 Rita was adamant that she did not want a conventional view of the St Colman’s Cathedral, the kind of view that appears on picture-postcards of Cobh. She needed an image to illustrate the Carillon Postlude section of the Service so clearly the bell-tower needed to feature prominently. I opted for a wide-angle view (17mm on a full-frame camera) of the front of the cathedral and, in contrast to the correction of the converging verticals in the above shots, I wanted to emphasise them here. This is the shot out of the camera. It was a dull, overcast day and so the sky is washed out. In post-processing, as well as brightening up the building, I added a deep blue sky. Job done, I thought, as I submitted the images to Rita. She was very happy but she was in a quandary: she needed an image for the cover. Had I any ideas? She had tried various web resources but without success. 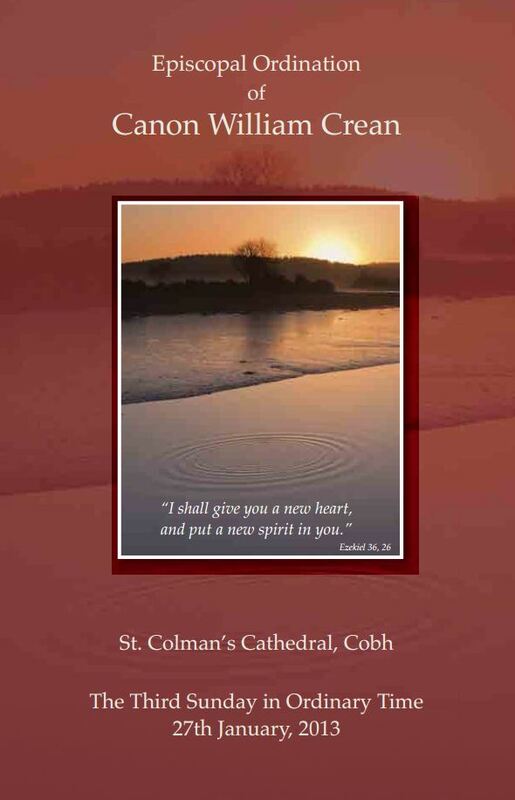 She wanted something different from a conventional image, something to illustrate the quotation from Ezekiel that would also appear – “I shall give you a new heart, and put a new spirit in you” – and which echoes the new Bishop’s motto: “Croí le brí nua” – “heart with a new vitality”. Had I anything? I had a photograph I had taken a couple of years ago that I thought would suit. It was of a sunrise at Brown Island, Carrigtwohill (appropriately enough, in the Diocese of Cloyne) with ripples in the foreground water (caused by me throwing a pebble into it.) A new dawn, ripples spreading outwards representing new movement – I thought it fitted. Happily, so did Rita and Danny. And that is how my Brown Island image came to feature on the cover. The full book in pdf format can be viewed on this website (see link just below the photograph.) It is a superb publication and great credit is due to Rita Scannell for doing such an excellent job. I was honoured to be invited to the Ordination and it was a wonderful spectacle and a marvelous ceremony. Watching one of the TV screens set up so that everyone could observe the proceedings and seeing shots of the collected clerics holding the book with my Brown Island Sunrise on the cover made me feel immensely proud.